One of my goals for 2014 was to read 100 books. I made it just past halfway, with a total of 56 (I didn’t include textbooks or journal articles I read for grad school, or kids books I read with my son, even the chapter books like the Ninja Meercats or Dragonslayers Academy series). 6 (11%) were either kids or young adult; the rest were adult. 3 (5%) were nonfiction and the rest were fiction. 17 (30%) were single short stories (yes, I realize it’s cheating to include those), and 10 (18%) were short story anthologies. I know the authors of 34 (61%) of the books; 8 of the authors (15 of the books or 27%) of them are also with my publisher, Evolved. Only 7 (13%) were books that randomly caught my eye on a library shelf or website; all the rest were either recommended or written by someone I know or follow online. “No Punchline: Or, The Night Chale Thayer Blew his Head off at the Punch Drunk Comedy Club” by Jeff Suwak: nearly perfect story about a comedian who doesn’t want to be funny. The Almond Tree by Michelle Cohen Corasanti: a disturbing and moving story about growing up Palestinian during the Israeli occupation. 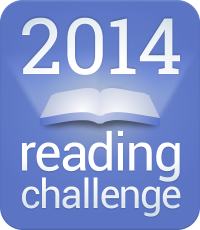 If you challenged yourself to read a set number of books in 2014, how did you end up doing? What were your favorites? Anything you particularly disliked?